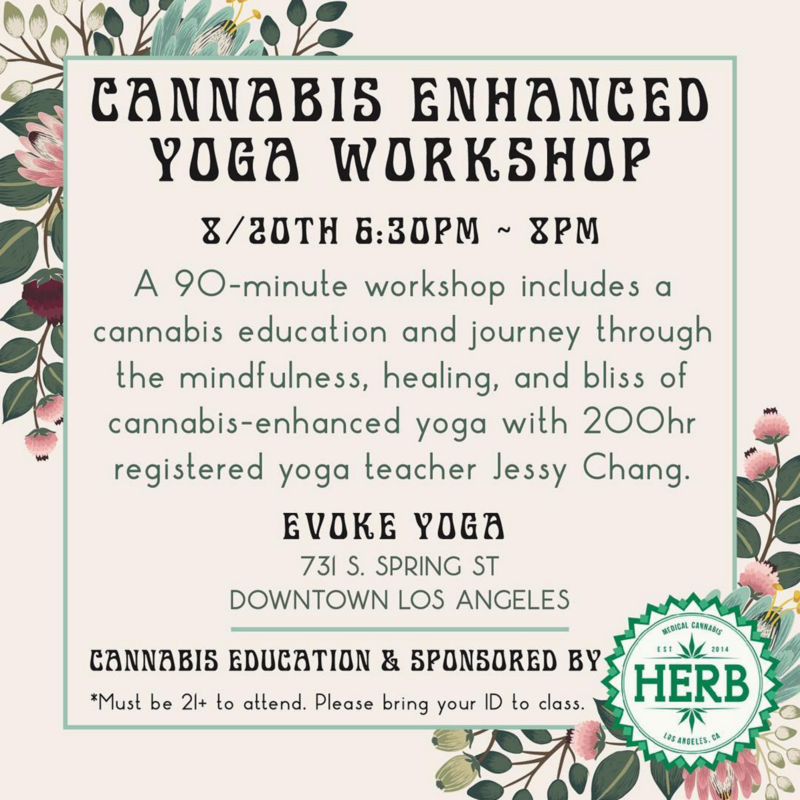 DescriptionA 90-minute workshop includes a cannabis education and journey through a therapeutic cannabis enhanced yoga practice guided by 200hr registered yoga teacher Jessy Chang and teacher assistant Megan Thompson.This cannabis-enhanced yoga workshop is friendly to all levels of experience and is designed to promote relaxation and a connection from within. Starts with a 30 minutes education on cannabis from a representative staff of HERB. Followed by a short guided meditation, moving into a gentle vinyasa flow, and wind down into yin and restorative yoga along with hands-on adjustments and massage using CBD essential oils.What to expect6:30PM Starts with a 30 minute education on cannabis from a knowledgeable representative of HERB / Smoke Sesh.7:00 - 8:00PM Yoga ClassSpace is limited.Complimentary cannabis and gift bags will be provided.Be safe and use a carpool or driving service to and from class.